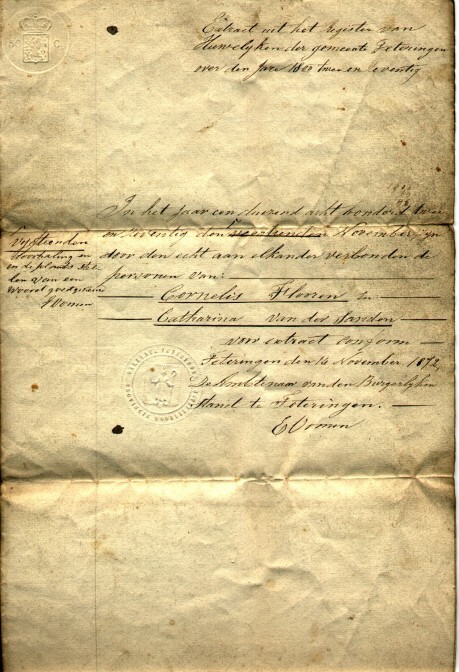 If your family lived in the Netherlands after say 1850, check your family papers to see if there is a marriage booklet (“trouwboekje”). These booklets are given to the spouses during the marriage ceremony and record the information about the spouses. It is then updated when children are born or when the spouses die. See the article about my mother’s descent from her father Jan Marijnissen for an example of using a marriage booklet.